who are stepping up for a better world. 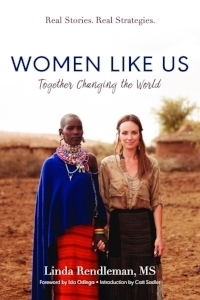 Recently, Linda added a new role of Executive Producer for the upcoming film documentary, Women Like Us. Three Journeys. One Mission. To Change the World. inspired by her third book in the Women Like Us Series and Co-Produced by her daughter. Catt Sadler of E News.